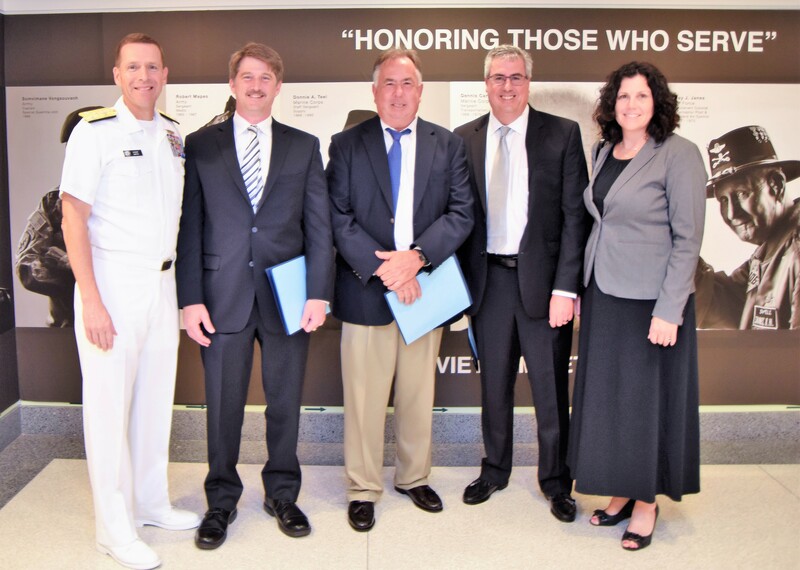 BI Solutions, Inc. LOGCELL team members Scott Armentrout, Kevin Donnelly, and Brian Parsons were honored to receive the 2018 DoD Award for Supply Chain Excellence. 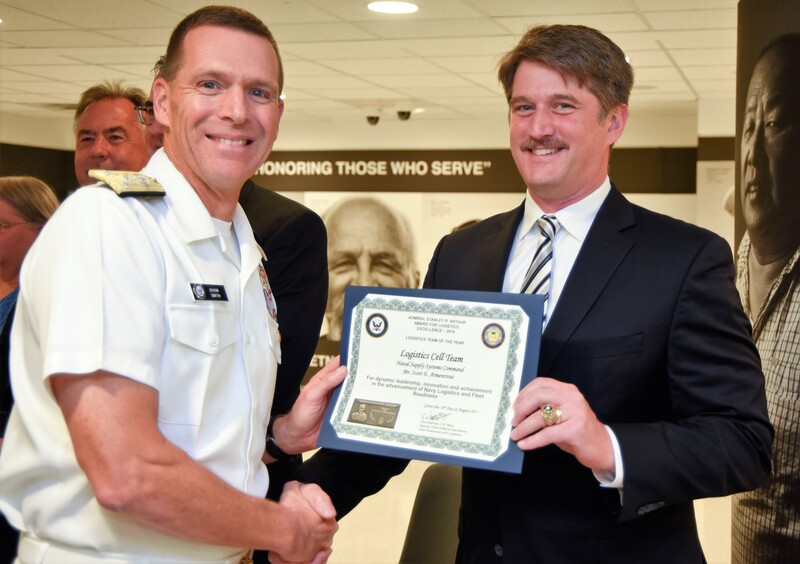 The purpose of LOGCELL was to improve operational readiness and the significant improvements that were accomplished are evidence of the team’s success. Some of LOGCELL’s accomplishments include a 25 percent reduction of back-orders for repair parts, a 57 percent reduction in consumable part back-orders and a 62 percent reduction in the average number of back-orders per fielded aircraft. Additionally, the team was responsible for retail outfitting savings in excess of $114 million. 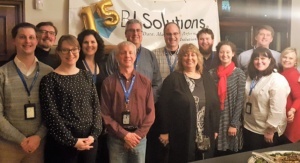 BI Solutions, Inc. (BISI) has reached a milestone this month, celebrating 15 years of business. 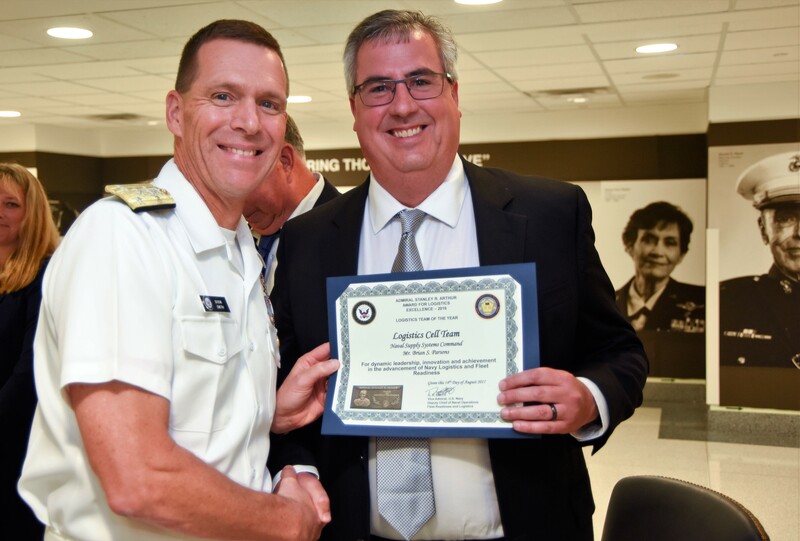 One of the many highlights of BI Solutions’ past 15 years occurred in August when BISI staff traveled to the Pentagon to be presented with The Admiral Stanley R. Arthur Award by Vice Admiral Smith. 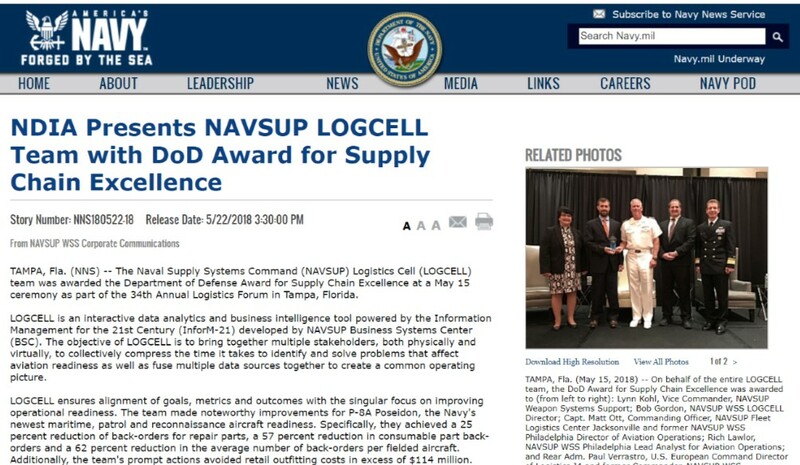 This national award recognized excellence in BI Solutions’ work with the US Navy in logistics planning and execution on the LOGCELL (Logistics Cell) project which transformed the Navy’s supply chain reporting. 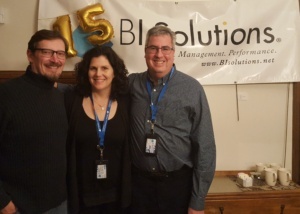 Employees and their spouses joined in a celebratory dinner recently. “We have weathered challenging economic times of the past 15 years because of the quality of our employees. 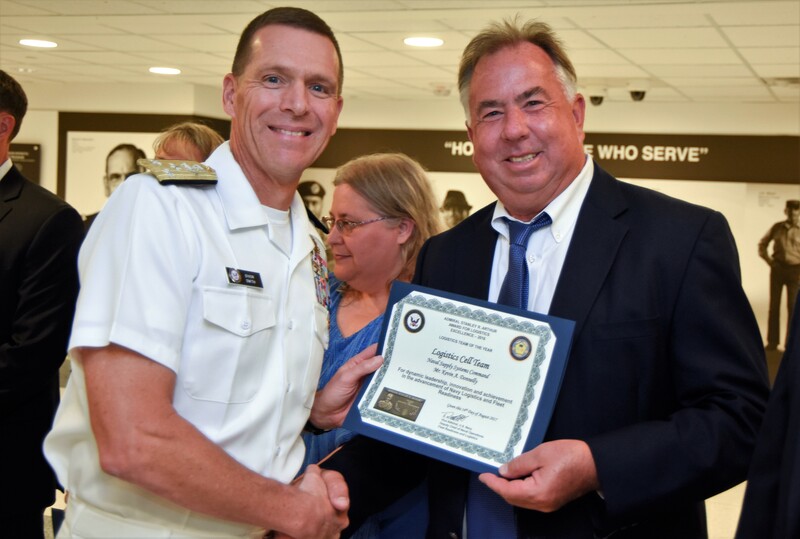 It is a testament to their hard work and effort that we are here today and I’m glad they are all a part of the BISI family”, president Erica Bryce commented.